There is Buenos Aires, the city. Argentina’s political and business center, also known as Capital Federal, is a bustling metropolis of 3 million where, despite a national recession, the steakhouses are full, the rose gardens are in bloom, and grand avenues hum with the city’s iconic black and yellow taxis. A decade and a half ago, the city was in dire straits, as the nation’s economy imploded — a period Argentinians still refer to as la crisis. Right-leaning businessman Mauricio Macri was elected mayor and his success at transforming the city propelled him to Argentina’s presidency in 2015. The promise was that Macri would bring the calm, technocratic order of Buenos Aires to Argentina as a whole. 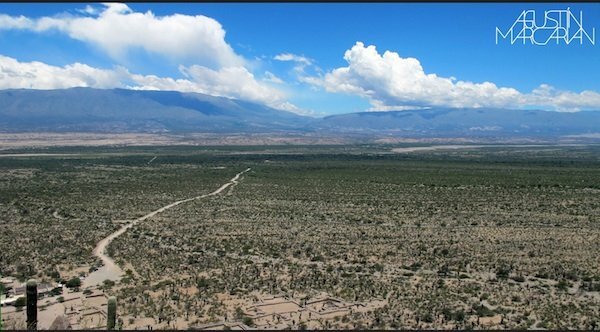 But, notes Americas Quarterly magazine, that mission is a formidable one: For his government to succeed, Macri will have to bring relief to another Buenos Aires — the province surrounding the city, which carries the same name but is vastly bigger, and poorer. For its look at that other Buenos Aires, Americas Quarterly sent Argentinian photojournalist Agustin Macarian to Lomas de Zamora, on the outskirts of Buenos Aires city, to document life. “I walked the city with some neighbors who helped introduce me to people; they let me go inside their homes and work places,” says Macarian. One of the places he photographed was a local butcher shop. 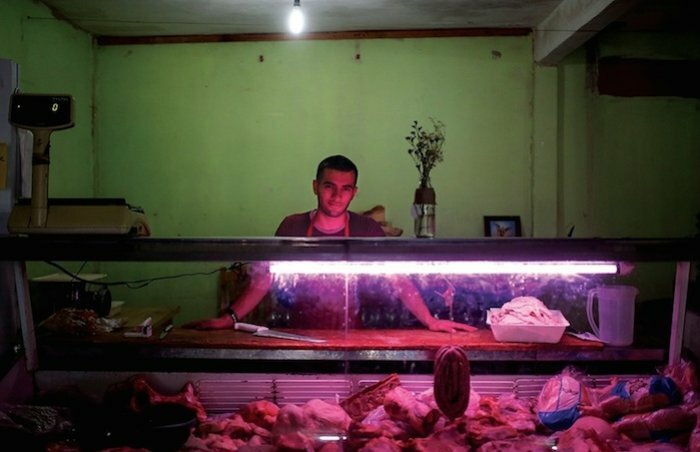 Macarian’s photograph of the butcher in Lomas (at top) was later named a winner of the Latin American Fotografía 6 competition. 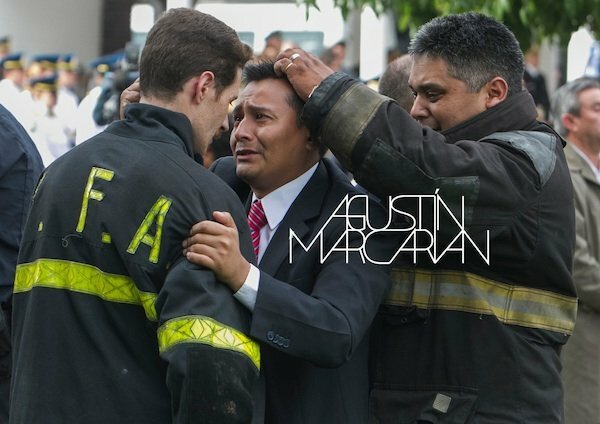 Macarian has been working as a photojournalist since 2013, stringing for news services including Reuters, Associated Press, and Getty Images, as well as local media such as Infobae and La Nacion. His images have also appeared in The New York Times. Below is a selection of his work. See Macarian Facebook, Twitter, and Flickr.